There are new difficulties in new districts. Although all government offices have been established, there is no difficulty in the absence of full officers and staff members in their respective departments. While transferring the promotions to other areas, Though the new district was formed on October 11, 2016, the posts would be vacant with the key collector and other departments and the department would be affected. There are 18 Mandals and two revenue divisions in the district of the good rally, besides the Police Department and the remaining 574 posts have been sanctioned. Of these, 383 were on duty and nearly 204 posts were vacant. Only 24 of the 54 posts are in the collectorate department. While 10 posts are vacant in the veterinary department, three posts have been issued in Minority departments while two more vacant posts are vacant. There are 13 posts in the revenue department and another 7 posts are vacant. There are 5 posts in the civil supplies department, while 204 posts are vacant in the key sector. The government has set up a provision for administrative convenience. In addition, employees are moving on deputation. This is due to development. In the meantime, the Tahisildars were promoted to RDVO and replaced by Injection. The key departments in the district were the teachers and farm officials. Additional positions were given to their subordinates. They are not able to do justice to any zone. The common people are applying for birth, caste and income certificates. But they are not official or timely certificates. The Income Officer will not be available in any zone timely. The government will be embroiled in appointing full staff officers in new districts. The task of doing things with the absence of full-scale executives will have trouble with the authorities. High officials say they will face criticism from people who do not have time to do things with a burden. 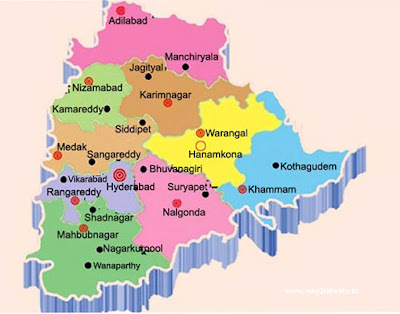 The Adilabad district is declared as four districts. People have no difficulties with the decision taken by the government to make the regime more close to them. In the meantime, they are entrusted with the implementation of schemes, monitoring of green plants and nursery examination. They are in a state of failure to do so. People do not have the right to take the decision of the government, If any of the things that you do, you do not have a sarc. They moved on to transfer ... In place of their place is the seat manager. The answer comes from waiting until Sarah arrives. Many people claim that people are suffering more because of the division of the district. People want to replace the gaps in government departments and replace the regulars with regulatory authorities. CM KCR has set up new districts to solve the problems of the people to improve the system for governance. But people are not going to solve the problems, but people feel that the maintenance burden is rising. In many offices of the district, there are additional officers who have been appointed by the authorities or in-charge. The new problem is that the staff will not be hired. While people are not settled, time travel and travel costs are rising. The higher the work burden on the officials, the more they can not do justice to the people. It is said that there are no provisions of the censorship of the state governments that the authorities should be locating. People in the past have been informed of their problems to officers of the concerned departments. If there is no solution, they will eventually go to the collector's attention. On Monday, the May collector had complained to the complainant but now the district is closer to the collectorate complaints. When the collector of the village is in the Joint District, the people are looking at the govt but now the districts are taking the issue of a solution to the collector's attention to the attention of the collector. With a new district, TRS Government has set up new districts across the state with the goal of providing good governance. The new district formation has to go from the old district headquarters of Adilabad to about 150 to 200 km. The people here are expressing happiness here.